Apply For FinancingPayment CalculatorValue Your TradeQuestions About Financing? When you are looking to finance a car, you want to work with someone you can trust, that is honest, and that can get you a good rate that won’t get you in over your head on monthly payments. 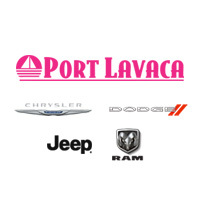 Here at Port Lavaca Dodge Chrysler Jeep, our job is to get you the right car and the right loan. With absolutely no pressure in our finance offices, and we simply focus on what is best for you. But what makes us so successful? We truly care about our clients. We’ve been around for many years, and plan to be here many more! It is important to us that we have happy long term clients that know and trust us. We are willing to do what it takes to earn that trust. Our knowledgeable staff understands the complexity of auto finance. There are many factors that go into auto finance, and it’s hard to understand. Our staff is working with years of experience so you know you can count on us to get you the best deal. We understand how to work with banks. The way you are presented to a bank can make all the difference when applying for a loan. We will help you with how to present yourself to a bank to get you the best loan possible. We know how to work creatively. Our staff is not only knowledgeable, but creative as well. Sometimes it can be hard for you to get a loan with monthly payments that are within your budget. Sometimes we have to get creative to get you in your dream car, and we will do our best to make that happen. Our in-depth credit knowledge will get you the best deal possible, no matter what your credit level. In today’s economy, many people are left with a credit score that is not optimal. While there is only so much we can do, we will use our credit knowledge and our connections within banks to do everything we can to get you a loan. As part of a larger network of dealers, we sell over 1,500 vehicles per month in Texas alone. This gives us the power to help consumers on as many levels as possible. Our network has connections throughout Texas, so if you have friends you think could benefit from our services, we also serve Victoria, Corpus Christi, Edna, Cuero, Rockport, Refugio, Yoakum, Yorktown, and Aransas Pass. Contact Us or, If you feel you are ready to submit your information for an Online Approval, please click here. We will do everything we can to get you into the car that’s right for you. We will help to get you into a car that saves your hard-earned money, keeps your family safe, and gets you where you need to go!